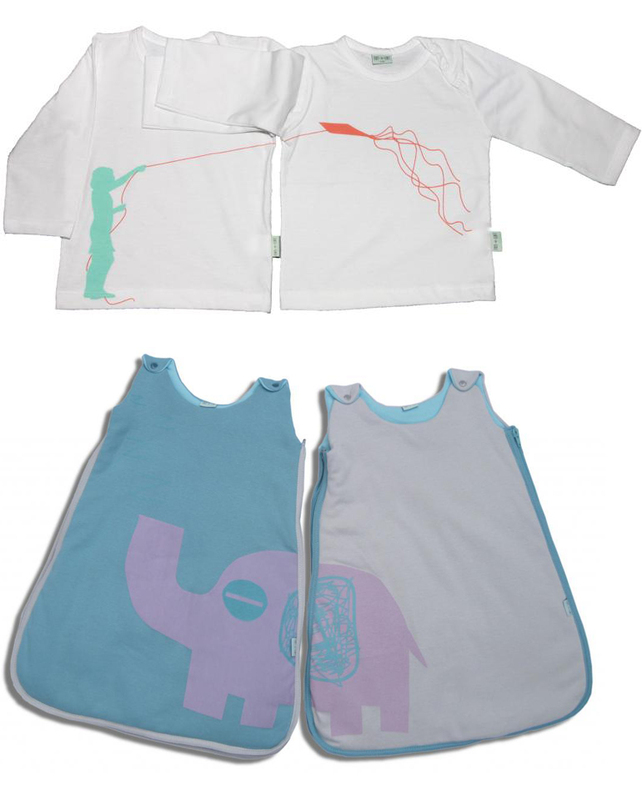 Tot-a-Lot, the new Spanish brand from mother-of-twins Lourdes Ferrer, caters exclusively to the twin market with her ‘double’ designs. All of the clothing in her shop is exclusively sold in pairs, and she takes the idea of ‘matching clothes’ one step further as she cleverly plays with prints, colours and patterns to let two similar but essentially different garments complement each other in fun ways. Also very cool: the clothes are shipped in fun boxes with double compartments which can be re-used as twin storage boxes.